The Deepwater Horizon Oceanic Fish Restoration Project, an Early Restoration Phase IV project led by NOAA, kicked off the third year of a partnership to restore important fish species impacted by the oil spill. The Trustee Council authorized $20 million toward this key effort that is already showing positive results. This restoration project is conducted in partnership with the National Fish and Wildlife Foundation and a portion of the pelagic longline fishing community in the Gulf. It includes a voluntary opportunity for fishermen to be compensated for helping restore fish populations by taking a break from pelagic longline fishing for six months from January to June. The project also provides options for them to use alternative gear that reduce bycatch of non-target species, helping fishermen continue bringing some fish to market. 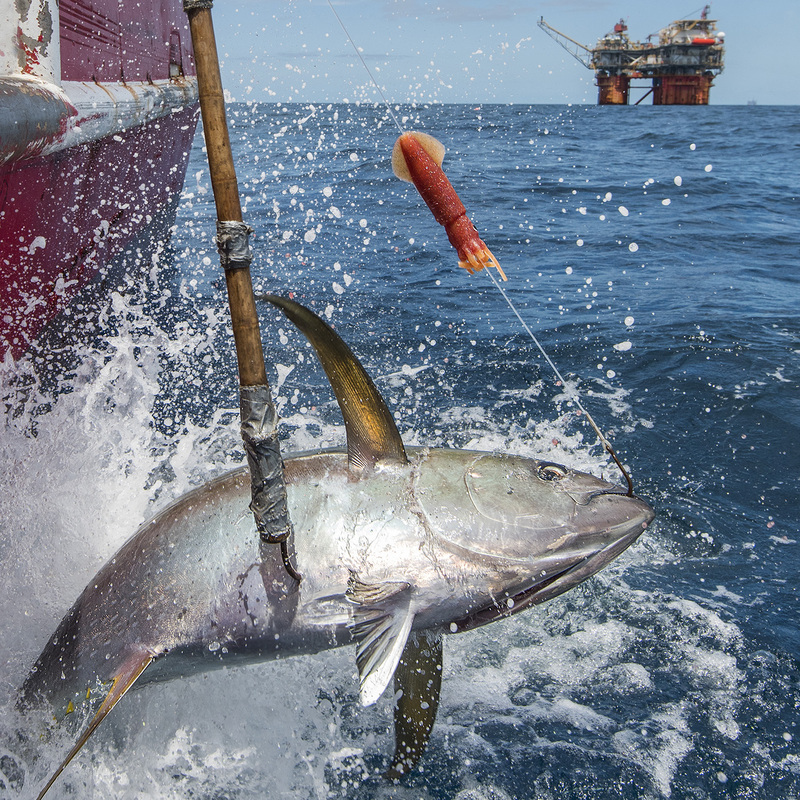 Tuna, billfish and other fish species inhabiting the open ocean areas of the Gulf, including other natural resources, were significantly injured by the spill. The project is helping restore both target and non-target fish species, by giving them time to grow and reproduce during the volunteer break from fishing. This year, ten fishermen are participating in the six month period, eight from Louisiana and two from Florida. Ten also participated last year. The fishery includes an estimated 35 active fishing vessels. Along with helping oceanic fish species recover, the project is also helping provide the fishing community with opportunity to use and improve proficiency with the alternative gear at no cost to them, learning along the way and providing higher levels of seafood sustainability in the Gulf of Mexico. Although last year included some changes to improve the project for stakeholders, this year only includes a slight change, improving how fishermen can haul in their alternative gear. Under the purview of a NOAA Fisheries Exempted Fishing Permit, fishermen will now be able to use motorized haulers to bring in buoy gear onto their vessels during the project time period. These changes stem from engagement with participants, fish dealers and other stakeholders to continually improve and adaptively manage the project. Pelagic longline gear can accidentally catch non-target species, including bluefin tuna and protected sea turtles. So far, data collected from previous years show clear benefits related to the reduction in bycatch when fishermen opt in to use the alternative gear. The amount of bycatch caught was minimal, and many that were caught, were released alive. Updates on the project from 2017 can be found on the Oceanic Fish Restoration Project information page. All images, © Jay Fleming.